India 23 October 2016: When it comes to nutritional density, there is nothing that can beat the nutritional value of this wonderful fruit- Kiwi. It is one such fruit that not just helps in living a disease free life, but also contribute in improvising overall health. It is also one of the most nutritious Vitamin C food that we have around us. Rich in Phytonutrients, Kiwi Fruit contains a large amount of essential vitamins and minerals, which is good for the health of both; your skin and hair. So, if you have not included this wonderful fruit in your diet yet, do it now, as it offers an impressive list of amazing health benefits. 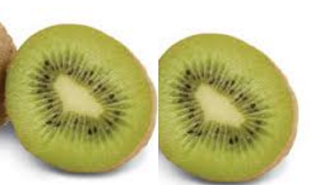 In Hindi, Marathi, Gujrati, Tamil, Malayalam, Telugu and Bengali Kiwi fruit is called kiwi only. It doesn't have any different name as it's an exotic fruit not cultivated in India. For all those who often suffer from digestive problems and bowel disorders should definitely include Kiwi fruit in their diet as it is proven and tested to treat inflammatory bowel disease as well as irritable bowel syndrome. 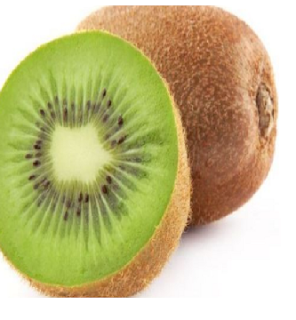 Kiwi is also a rich source of antioxidants and fiber, which develops anti-inflammatory effects in the body which help our bowel system to function better. Eating Kiwi fruit on a regular basis is highly beneficial for your heart health. It protects your heart from getting strokes, cardiovascular diseases and blood clots. 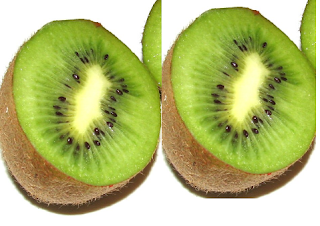 The fiber and Vitamin K found in Kiwi prevents the heart attack and keeps the heart healthy. Being a rich source of potassium, it also acts like a Vasodilator that relax the blood vessels of the entire body. 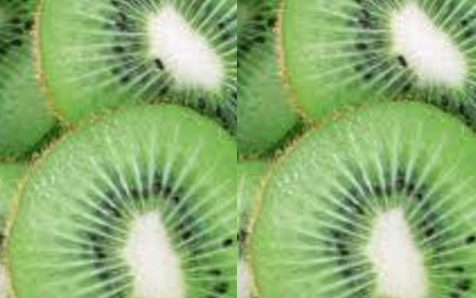 Kiwi is a must eat fruit to improve vision naturally and to prevent eye diseases. Due to the presence of carotenoid vitamin found in Kiwi Fruit, also known a Lutein, Kiwi is highly beneficial for your eye health. 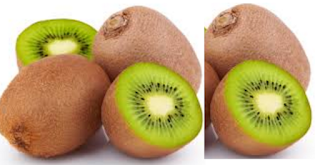 Regular consumption of Kiwi protects your eyes from diseases like retinitis, cataract, age related macular degeneration (AMD). Another health benefit of consuming Kiwi is that it contains 171 milligrams of Lutein, which is far more than any other fruit. Foods rich in Vitamin C like Kiwi Fruit and Oranges are mostly good for the respiratory health. Many researches and studies revealed that regular consumption of the Kiwi has shown tremendous improvements in the health of both child and adult suffering from asthma and many other critical respiratory illnesses. It is also very effective in treating sore throat and head congestion and can also help you sleep better. It is also very effective in treating sore throat and head congestion and can also help you sleep better. So next time you need sound sleep, don’t forget to eat Kiwi. Vitamin K is not only good for your heart health, but it is also very essential to make your bones stronger. So eat Kiwis to make your bones stronger and healthier. It also reduces your risk of getting bone related diseases like Osteoporosis. The perfect combination of Vitamin C and antioxidant present in Kiwi Fruit makes it highly beneficial to improve the functioning of your immune system. It also helps you get good metabolism. It is not wrong to call Kiwi a Superfood due to the high amount of nutrients present in it and can help you shed a few pounds naturally. Kiwi Fruit is low in calories and is therefore an amazing addition to your weight loss diet. It is loaded with soluble fiber which helps to keep you full for longer. What can be better than a food that can instantly help you get rid of all the toxins and harmful substances present in your body. So eat kiwi to make your body free of toxins which can help you improve your overall health. Kiwi Fruit is really effective to maintain blood pressure levels in the body by balancing the electrolytes and by neutralizing the effects of Sodium. It is also low on the glycemic index which makes it a great fit for diabetics. Loaded with Vitamin C, kiwi fruit fights free radicals which cause damage to the skin. Free radicals are known to cause a lot of damage to the skin cells and are the main reason for cancer. Adding kiwi fruit to your daily diet is an amazing way to fight these free radicals. The Pre-biotic properties present in Kiwi fruit helps in correcting our digestive system. It provides the digestive system with extra nourishment and acts as a prebiotic element which is great for our health.. 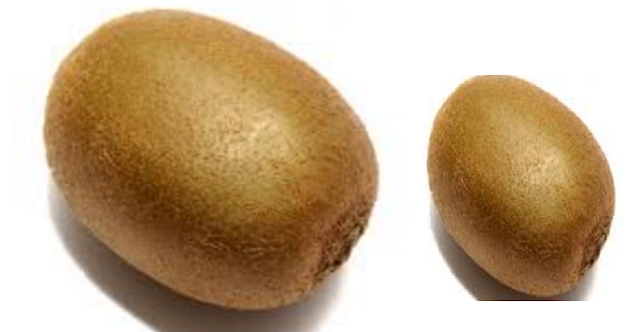 When pregnant women eat Kiwi fruit it helps in passing on the important vitamins to the child. This prevents birth defects in children. Its also amazing for the health of pregnant women. 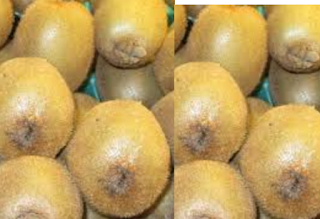 Kiwis being rich in anti-oxidants help in cell re-building. It is also loaded with the much necessary fiber which is great for our digestive system. It helps in getting rid of all the toxins from our system making it clean and good. If you can’t find kiwi fruits in the market then you can try the kiwi fruit Supplements which provide more or less the same benefits. These supplements are made by heat treating the fruit to turn them to their powdered form and then this powder is packed into capsules. Sometimes in this process, they lose some nutrients but their nutrient content is still quite high. Kiwi is an excellent source of Vitamin C and E, which does not only prevent your hair from falling out, but also help you maintain the health of your hair. It is definitely the best food to treat excessive hair fall. It also contains certain amount of minerals like zinc, potassium and magnesium that promotes hair growth. If you have a dry and frizzy hair, then Kiwifruit is all you need to make your hair silky and shiny. You can even use Kiwifruit seed oil that hydrates the hair and keep them manageable. It also supports the scalp to absorb nutrients that keep your scalp hydrated and healthier. Premature Hair graying is truly one of the most annoying problems that individuals go through nowadays. So to stop hair graying, must include Kiwi in your diet as it contains high amount of copper that maintains the natural color of hair and prevent graying of hair. The antibacterial and anti-inflammatory properties of Kiwi are highly effective to treat severe scalp infections and help you get rid of scalp conditions like dandruff and Eczema. Regular intake of Kiwi also strengthens blood vessels that prevent hair fall. Packed with iron and many other essential nutrients, Kiwi fruit is truly wonderful for your hair health. It also improves the circulation of blood in the body that stimulates hair follicles and make your hair stronger. Kiwi fruit is loaded with high amounts of vitamin C which helps in the formation of collagen on the scalp. It helps with the absorption of nutrients on the scalp, making your hair healthy, thick and smooth. The kiwifruit seed oil is enriched with the goodness of omega-3 fatty acids which moisturizes the hair. This oil is amazing to treat dry and unruly hair. It is a known fact that foods that are rich in Vitamin C are great for the skin health and that’s what makes Kiwi, the best food to get healthy, glowing and younger looking skin. Regular consumption of Kiwi Fruit increases the production of collagen which makes the skin firm, softer and glowing. As Kiwi is loaded with antioxidants, it is a must have food to prevent aging. It also helps you tone sagging skin, reduce the appearance of wrinkles, removes blemishes, dark circles and dullness of skin. It also helps you fight free radicals and regenerate new cells. Kiwi Fruit can also help you keep your skin hydrated and nourished which help you get the glowing and gentle skin naturally. To look good outside, it is really important to keep your body healthy from inside. So to keep your body fit and healthy from inside, must give your body a daily dose of nutrition by including Kiwi Fruit in your diet. It also helps you treat several skin diseases and maintains healthy cell membranes. If you have oily skin or acne prone skin, then Kiwi can actually save you from suffering with such problems. The alpha hydroxy acids (AHAs) and anti-inflammatory properties of Kiwi make it a perfect food to cure acne and to prevent the breakouts. You can even apply it on your skin by mashing it. 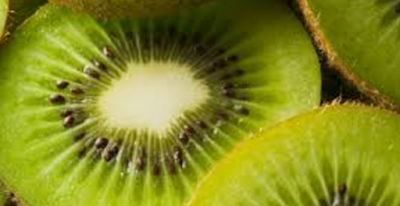 Kiwi can also cure skin inflammation,like zits and abscess. It also protects your skin from harmful UV radiation and prevents sunburn. So include Kiwi Fruit in your diet today and feel the difference yourself. It also helps you fight free radicals and regenerate new cells. Kiwi can also help you keep your skin hydrated and nourished which help you get the glowing and gentle skin naturally. Kiwi is a delicious and nutrient-rich fruit which is great for your skin care. It is loaded with many vital nutrients for your skin like vitamin C, E and antioxidants. These nutrients help in rejuvenating your skin and making it smooth and glowing. Kiwifruit is loaded with vitamin E which keeps the skin moisturized and well-conditioned. The Vitamin E in it also work in the process of skin cells regeneration, making your skin flexible and young. If you have oily skin, which is caused by excess sebum production then you should apply a Mix kiwi pulp with lemon juice on your face. Let it sit there for 15 minutes and then rinse it off using cold water. This kiwi fruit face pack works amazing to control excess sebum production. Regularly drinking kiwifruit juice on stimulates the growth of new skin cells. It also moisturizes the skin and improves the hydration, making the skin young and glowing. 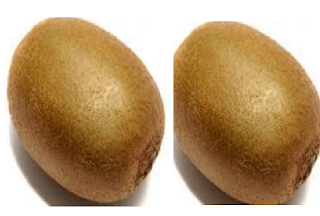 The kiwifruits peel is an amazing natural exfoliant, which works to remove the dead skin cells from the skin. The Peel of this fruit contains natural enzyme which help to exfoliate the skin. Daily use the inside of the kiwifruit peel to scrub the skin for a glowing and smooth skin. The best thing about Kiwi is that it can be easily included in salads, smoothies and other meals as well. In fact, you can also apply mashed Kiwi on your skin and can use it with your face packs. You will be surprised to see the results as it will make your skin supple, smooth and glowing. So include Kiwi in your life today and feel the difference yourself.